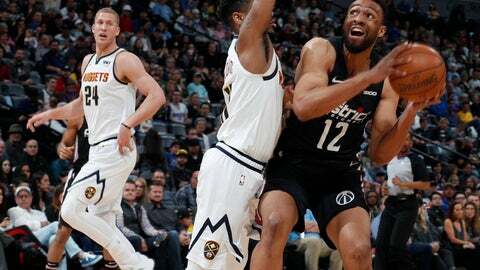 Wizards: F Trevor Ariza missed his third straight game with a left groin strain suffered at the Los Angeles Lakers on Tuesday. … The Wizards play three of their last four games at home. Nuggets: G Isaiah Thomas didn’t get off the bench for the seventh straight game and 10th time in the last 11 games. Thomas made his season debut just before the All-Star break but a deep backcourt has kept him out of the rotation. … Jokic now has 53 double-doubles this season to go with 12 triple-doubles.